GIF Maker – GIF Editor is a fairly simple and very unique application with which you can create your own multi-images from your video. The first and distinctive feature of this application is that you can first cut your videos, and create animated images using them. Also in the application, there are more than 200 different images available. 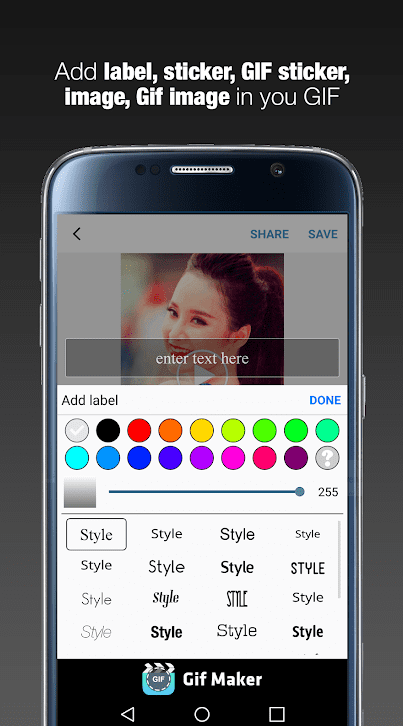 It is only necessary to download GIF Maker – GIF Editor on Android to find out about all the features of the application. In the application, you can edit your gifs before and after saving them. Add different labels to them, each of which is created according to its style and design. Mix several possibilities, thereby making your multi-image even more unique. Download, modify, edit with one application that is full of features and capabilities. The application has a simple and intuitive interface that will not cause questions even for beginners, but the final result will impress you. Besides this, without special skills and abilities, you will be able to create what others thought only a professional editor could create. Show your creative talents and abilities, and don’t limit your imagination. And only then your result will be truly incredible and amazing, which you want to share with everyone. GIPHY is the world’s largest Android-library of animated GIF-images for communication in social networks and instant messengers. The application provides users with the easiest and fastest way to find GIF animations and share them in your favorite social networks, such as iMessage, Facebook, Twitter, Snapchat, and others. Find the perfect GIFs in a huge library that has collected content from around the world. Here you will find animations for all tastes: popular TV series and TV shows (from the Game of Thrones to the Hunger Games), popular memes, music, sports, pop stars, movies and much more. With the application, you can easily write messages to other users with attached GIFs, share them in various instant messengers and social networks, send by e-mail, tweet and post them in a few touches. You can even save GIFs on your personal board to take advantage of them in the future. In the application, you can create your own GIFs and replenish the application library with them. Create animated pictures from video and photos on your device, and use various effects to customize your animation! 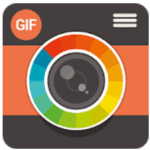 Gif Maker is an application for creating gif-animation from the photo and creating self-gif. Gif Maker allows you to easily share and save animations. With it, you can create self-gif with a few clicks. It’s possible to change the speed of gif animation. After creating, you can save gif to your smartphone gallery. Create gif using the camera. Create a slideshow of photos and share them. Gif Me! 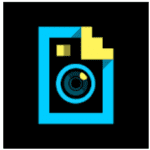 Camera is an application that allows you to create animated GIF files using an Android mobile phone camera. You can instantly take either photographs or a short video, which then have to be processed. You can take pictures both from the main camera and from the front one, adjust the size, resolution, and length of the animation. Processing will take place automatically. You will have to add built-in filters, effects to your animation, you can add an inscription, attach emoticons, adjust the contrast and brightness and place your masterpiece in a beautiful frame. In addition, you can change the playback speed or use other options if you need them. The main thing is that all these functions are always on hand and they are easy to use. If you already have ready-made photos or video materials, then just go to your gallery and select the desired ones, then the same process of converting and setting up is waiting for you. If you made your animation, then clicking on the “Play” button, so you can see what you finally got, if necessary, you can edit to bring your work of art to the ideal state. After you finish creating a GIF file, you can save it directly to your mobile phone or share it via social networks. Gif Me! Camera is a simple and convenient application for creating GIF animations. Thanks to this application, you can create a GIF in a few seconds! GIF Cam is an application that allows you to create gif-files based on photos and a lot of animated gif files. Having created gif, you can send it directly through Facebook Messenger. The process of creating gif files in GIF Cam is very simple. You just need to take a picture or select an image from those that are already stored in the memory of your mobile device, and then add any of the hundreds of gif animations available in the application. Adding an animation to the image, you can change its size and move it to any place. Direct sending of results via FacebookMessenger. Unlike other similar applications, after creating a gif-animation, GIF Cam allows you to save the result in the device’s memory or share with friends in Facebook Messenger. 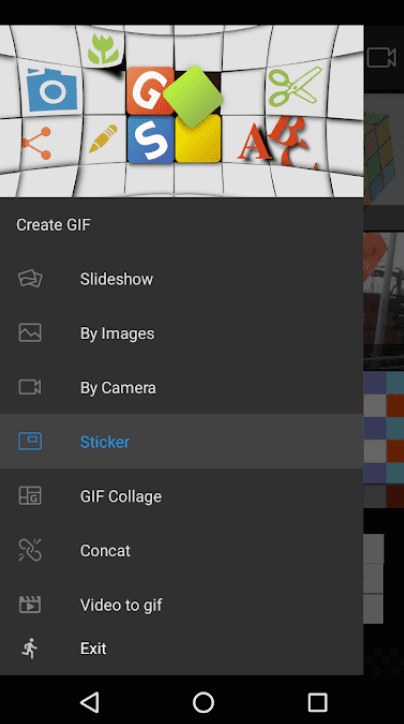 GIF CAM for the Android platform is designed for those who like communication and don’t want to be constrained by simple pictures. GIF Cam is a simple but interesting application, with which you can surprise your friends with funny gif-animations. 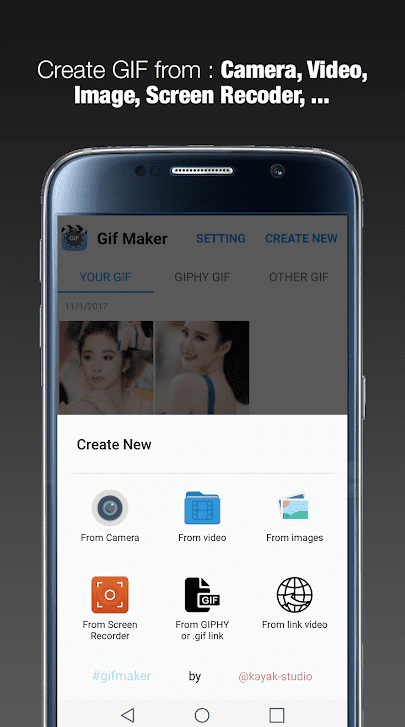 Gif Edit Maker video is an application for creating GIF animations from video and images stored in your device’s memory or from video on YouTube (without even downloading them). On the main screen, you can choose which type of gif-file you want to create. If you select the last option (converting YouTube video to GIF), you only need to click on the video you are interested in, click the ‘share’ button and then select Gif Edit Maker video. If you want to create a GIF animation from a video file on your smartphone, then you just need to select the video file itself, select the desired segment and it will be converted to a GIF file. Before you save the GIF animation on your device, you can change various settings. Equally important is that you can adjust the size of the images and the number of shots per second. Gif Edit Maker video is a full-featured application that allows you to create animated gif images in a short time. If you need to create a new gif, you can enter the first mode, take 3-4 pictures and process them in the application. You can also create animations from pictures in the smartphone gallery. To do this, you must select at least two snapshots, wait for the application to generate them into an animated series, set the number of shots per second and save. There are no serious settings in the application. For example, you can not cut pictures from a video or set the quality and size of a finished gif. On the other hand, even a technically unqualified user can quickly master the application to create and download simple animated images to his social network page. This multimedia application will be very useful for those people who like to use social networks and share their photos and video materials with others. At the moment, short movies have become very popular, which are formatted into GIF animation, and then shared with friends, so the program GIF Maker, GIF Editor, Video Maker, Video to GIF on Android is able to make quality and interesting animation from your video file or a set of pictures with a few clicks. GIF Maker, GIF Editor, Video Maker, Video to GIF is a very fun utility that implements the declared functionality. Creating GIF-animation occurs in a matter of seconds, and a variety of filters allow you to creatively approach the matter. To work with this program is very simple, its interface is made in an incredibly convenient way. Despite its minimalism, the application has quite a wide range of settings for creating the perfect gif. In the editor, you can choose from 20 beauty frames, 60 beauty filters, 100 stickers. GIF Maker, GIF Editor, Video Maker, Video to GIF is a very fun utility with wide functionality. GIF Camera is the most functional and minimalistic application. There is nothing superfluous, even the main screen is not provided – an instant camera start. The simplicity of the application doesn’t mean a minimum of functions. After working with the sliders of the settings, you can achieve the optimal result. Note that the application has no restrictions on the duration of the created video, it all depends on your patience and the amount of internal memory. GIFs are saved in the gallery. The editor allows you to impose an abundant number of effects on the animation, as well as text. One more interesting feature of the application – the ability to scale and rotate videos. GIF is a lot of fun, but even more fun when you can make your own. Giphy is the largest GIF search engine on the Internet, but an application called Giphy Cam allows you to shoot video directly from the application to create GIF files or import existing videos, photos, GIF files and even live photos from your photostream. The application also has effects that you can apply. The new filters are added every week. The app can track the face, has themed stickers and much more that you can use for creating GIF. 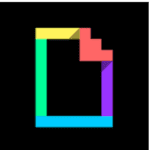 GIPHY CAM – The GIF Camera & GIF Maker is one of the few applications that allow you to create gifs, and not just convert them from video or photo. Create high-quality animation and share it with friends and family! GIF Studio is a program for creating GIF-animation using a camera or photos on a smartphone or tablet. Gif Studio also has some interesting features. The ability to add a “watermark” and create stunning greeting cards from them. Customize the style, color, and size of the text. Improved speed of animation generation in comparison with the old version. Different settings for the speed of the animation. Built-in multifunction player of GIF-animation. Create animations directly from the device’s camera. Gif-animation is an addiction of our generation. Gifs are easier to perceive than video, they are more informative than photographs, and it’s just fun. Now you know how to make a gif on Android from a photo or video. Try the applications and tell us about what you got in the comments to this article.